WHY CONDUCT AN ASSETS SEARCH? People hide assets for a variety of reasons that range from personal to business in nature, but essentially they have property or money that they do not want discovered. Hiding of assets is not always a sign of criminal intent, but just as often it shows a moral or ethical failing in a subject's character in that they feel there is a reason to hide all or a portion of their wealth from scrutiny. This article delves into the concept of hidden assets and details a methodology for uncovering such property or wealth. Order an Assets Search $150. If one is considering investing in a new business, bringing a new investor into an existing company or contemplating a merger between companies, it is essential to conduct a thorough background check on the individual or corporation. Such a check also includes a comprehensive assets search. It is important to conduct an assets search prior to filing suit against an individual or company to determine what assets or regular income is present in the event a judgment is ordered by the court (see below). It is not worth the cost of legal fees to file a suit against a person or company that will be unable to pay any court-ordered sum. It is also important to determine what assets or property could be attached on an uncontested basis once a judgment is issued, assuming victory in the suit. If the entity to be sued has nothing of value that can be taken, there is no point in entering into a suit. When the court order a sum of money to be paid as part of a civil action, a judgment is issued, this is simply a court order for the payment of funds. It is rare for the defendant to simply pay the amount ordered on the spot. The judicial system only orders payment, but collection is the responsibility of the plaintiff. A judgment will stand for ten years, but can be extended to become permanent. However, this requires that the defendant, who is now considered to be the debtor, be questioned in a deposition or hearing under oath regarding their financial status. If the debtor is going to surrender an item of property such as an automobile or boat, be certain to do an asset search before taking possession. If there are any liens against the property, taking possession may also bring with it liability for the lien. The finances involved in a divorce can often become rather complicated. It is not uncommon for a spouse to hide assets that would be open to dispute. An asset search of the party being divorced is very important to be certain that all assets are accounted for. Public child support enforcement agencies are ill- equipped to locate parents who evade their child support obligations. Quite often the errant parent will attempt to hide assets, thus pleading an inability to meet child support or alimony payments. In child support cases, once the parent is located, information regarding their wages or any hidden assets should be given to the proper child support enforcement agency that can then facilitate collection. - Quite often personal assets may be hidden and not disclosed in a will. Potential beneficiaries or those entitled to a claim against the estate should search for the possibility of hidden assets. Everything that is owned is potentially an asset. Stocks, bonds, real estate, money in the bank, automobiles, RVs, boats, airplanes and even household furnishings are all considered assets. Personal assets are classified as either being personal property or real property. This includes vehicles, equipment, inventory, telephone systems, computers, bank accounts, stocks, bonds and paid insurance policies with cash value. Any items of value that a person or a company buys or comes into possession of constitute a tangible asset. Ownership is determined by possession unless the property must be licensed such as vehicles, boats or airplanes. For those types of property, the ownership is determined by title and registration. For all other property, a sales receipt or cancelled check can be used to determine ownership, but the courts have been guided by the belief that possession is nine tenths of the law. This category includes patents, royalty agreements, promissory notes, contracts, accounts receivable, wages or other income. All homes, condominiums, apartment or commercial buildings and land are classed as real property. Only a residence that is protected by a homestead exemption is exempt from being attached. All other real estate is subject to claim through the courts. The Initial Phase of Investigation - Before attempting to locate assets through public records, it is essential to have the subject's correct name and address. In some local record's searches, the name alone will suffice without the need for an address. Initially it is important to determine that the person is who and what he or she claims to be. It is vital to find out not only where the individual lives, but also their place of employment, if dealing with an individual. It is also worthwhile to obtain the names of close relatives because often people trying to hide assets will place them in the name of a family member. Paper trails will exist if any significant property was transferred, and here is where a deed transfer can be traced through country records. Under federal law, each person is entitled to one social security number. A SSN is but one of several "identifiers"� which connect a person when establishing a positive identification. The others are, DOB, and addresses. The Social Security Administration's Death Index should always be checked to see if, when and where a subject may have died. If an estate was filed, the most likely location is the state or country where death occurred. Any county courthouse database contains copies of wills entered into probate. A major asset that can be attached or garnished is a person's wages. In collecting on a judgment, child support payments or divorce, it is important to know what property a potential defendant owns and what income or wages are earned. The power of the court can order payment on a judgment, child support or alimony, but it does not use its authority to actually collect as per its orders. Professional skip-tracers often conduct surveillance on a subject by discretely following the person to his or her place of employment. Discretion is the key to conducting such an undercover operation. If the subject is aware of the make or color of a vehicle being driven by the one conducting the operation, it could prove to be a wasted effort. A rental vehicle or one driven by a friend or associate can negate this problem. To actually verify employment, a call or visit to the employer under any number of pretexts can glean information regarding the person's salary or pay date. "He is buying a car from me and I want to verify his employment and the amount of money he makes," is one simple ploy. And if receiving an answer, then ask, "Does he or she get paid weekly or biweekly? "� To obtain more in depth information, one can feign being a future employer. Then it may be possible to ask such questions as, "Is he or she in line for a promotion or a bonus? "� or "How long has he or she been on the job? "� Employers are often quite candid when they think they are talking to a peer. This is an important source of revenue and includes money that comes from rental property, dividends or interest on stocks or bonds. This information may be more difficult to obtain, but it is income that should be reported on federal and state tax returns. If it becomes necessary to use the courts to obtain information, a subpoena of the subject's employment records by means of a Business Records Subpoena will reveal payroll checks that have been cashed. On the endorsement side it is often possible to find the name of the individual's bank and the account number unless the checks were cashed for currency. Public records available in city halls, county courthouses and at state repositories contain valuable information that is essentially public information available to all who inquire. However, one needs to know how to obtain the types of documents that will reveal asset holdings. And herein lies the challenge. Learn all about public records - See all states public records or all courts. Always start a search at the city or county level where most documents regarding real property, corporate data, UCC filings, divorce and community property proceedings as well as probate and motor vehicle information are to be found. Within these records may be found descriptions of real property and the make, model and license numbers of vehicles. There are over 4,300 jurisdictions in the United States that store records that can be useful to those seeking to locate assets. Most of these jurisdictions are at the municipal and county level, and each sets its own rules governing public access. These are the records that prove to be the initial basis for any asset search. Consult Information to familiarize yourself with various resources and what's available in local, county, state and national records. Consult these records yourself by referring to Court Records, State Records and National Records in the Directory section. There are basic details that one needs to be aware of when conducting records searches. This section describes the types of information available by category of property. The best documented of all assets is real property. Records are kept at the county level at either the County Recorder's Office or an office devoted to handling the registration of deeds. Real property records are indexed by the name of the property owner, but generally cross-indexed by the property address. The records include property jurisdictions, location, deeds of trust, liens, and information regarding recent transactions such as mortgage lender, title company and attorneys involved in such transactions. When checking on a piece of property, it is important to look for quit claim deeds, as these are often filed when a piece of property is transferred to a family member or friend to be hidden. In such a search, it is helpful to know the wife's maiden name, as often property is transferred to in-laws as a means of hiding an important real estate asset. The market value of real property is not easily determined from tax assessments or mortgage balances. Consultation with a real estate broker will help to determine the actual value of a piece of property in question. The Department of Motor Vehicles will provide information regarding ownership, normally charging a fee for this data. Vehicles are registered either under the individual's name or, in some states, that of a company. Once again, it is important to check under the names of family members to whom a motor vehicle could have been initially listed or later transferred if there has been an attempt to hide valuable property. Motor vehicle titles will also show if there is any lien holder on the vehicle. In each state, the natural resources department will have information regarding boats or other water-operated vessels that are owned by individuals or companies. Once again it is important to check under the names of any parties to whom such property could have been transferred. Boats or other water vessels can be attached by court order providing that proper ownership can be established. The title information regarding boats is public record just as is motor vehicle information. The registration of aircraft is made through the Federal Aviation Administration. This information is similar in nature to that of motor vehicles. It is therefore important to check under the name of the individual or company to determine ownership. Corporations, unlike individuals, have no property exemptions with regard to seizure for payment of debt. Information regarding the corporation's operations and personnel is available from the Secretary of State's office in all states. Some states will furnish information regarding directors, officers or principals of a corporation. Most of the information available is based upon what was filed by those who formed or presently manage the corporation. Many states do not require verification of the identification of those who apply to form a corporation. On average, more than 500,000 new corporations are founded each year in the United States. The Uniform Commercial Code is a vital source when investigating business dealings. The law requires that a financial statement be filed whenever transactions take place that involve the use of personal property as collateral for a loan or lease. There is much valuable information in UCC filings that can serve as clues for the furthering of an investigation into assets. There are over 8 million UCC filings completed each year. On average over 4 million parcels of real property will be transferred or are used for collateral. Likewise, millions of parcels of commercial real estate are traded or sold each year. Always begin a search of UCC filings in the county where the subject in question resides. These records are indexed by the name of the debtor, and they also list the names of secured parties with regard to the debt. Each filing also requires an accurate description of collateral being used as security for the loan or lease. If a third party has guaranteed a loan or lease, the individual or business name will also be included in the filing. Banks, leasing companies or individuals who have financially backed a business enterprise are excellent sources of information. They are often willing to divulge information when questioned. They may be capable of providing important details regarding other types of business arrangements or assets not specified in the UCC filings. In addition, they often can provide a picture of the individual or company pattern of doing business. They may even be able to provide names of stockholders, partners or family members who have provided financial backing. When a bank has provided a loan, there is a strong likelihood that the debtor also conducts his or her regular business or personal dealings at the same institution. UCC filings remain active for a minimum of five years, but they can be extended. The filing in question may include a copy of a loan application from the secured party or a copy of the loan check made out to the debtor. An individual debtor generally deposits the loan check into the same account that is used for depositing payroll checks, spouse's payroll check, stock dividend checks, rental income checks and other sources of personal revenue. If a debtor is attempting to hide any transactions, a common ploy is to close one account and transfer funds into a new account, and often the new account will be at the same bank. This provides a document trail that can be followed. To obtain a copy of a loan check or of the debtor's bank records, a subpoena is necessary. See: Conduct an Asset Search for more information regarding the array of important databases available. A bank account is highly liquid and is the easiest asset to attach. 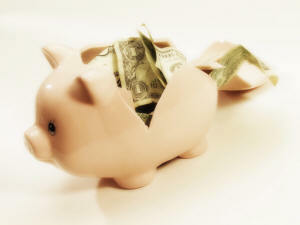 The most commonly asked question is, "Does the person who owes the money have an account at a particular bank? "� Unfortunately there is no central database that maintains bank account numbers. Prior to 1999, locating bank account information was the most controversial area in a search for assets, but new banking regulations have brought about significant changes in data availability. Prior to the banking changes, a variety of techniques such as use of credit reports, information subpoenas and pretext calling were used to uncover bank account information. Under the new law, pretext calls no longer are permitted when attempting to obtain account information. Bank customers now have greater protection from searches. However, once a bank account has been located and verified with either social security or tax ID numbers, it can be attached in payment of court ordered judgments. Many people with means have more than one bank account, insurance policy, brokerage account or safety deposit box. An individual tax return is a good source of information regarding any type of account that pays interest. A subpoena is required to retrieve tax returns. Part Two> of this article covers the topic of hiding assets. Article provided by: Investigative Professionals LLC, �2012 Information Providers.